Most of us have procrastinated about something at some time, and that is not abnormal. In contrast, habitual procrastinators repeatedly avoid doing things—particularly difficult things—and actively look for distractions. According to research from the American Psychological Association, nearly 20% of US men and women are chronic procrastinators. Procrastination can be defined as “the avoidance of doing a task that needs to be accomplished.” It could be also be described as “a habitual or intentional delay of starting or finishing a task despite its negative consequences.” Piers Steel, the author of the book The Procrastination Equation: How to Stop Putting Things Off and Start Getting Stuff Done, defines procrastination a “voluntarily delay an intended course of action despite expecting to be worse off for the delay.” In other words, he says, procrastination is doing more pleasurable things in place of less pleasurable ones. According to Steel, people who don’tprocrastinate tend to be high in the personality trait known as conscientiousness, one of the broad dispositions identified by the big 5 theory of personality. People who are high in conscientiousness also tend to be high in other areas including self-discipline, persistence, and personal responsibility. Although typically perceived as a negative trait due to its hindering effect on one’s productivity procrastination is often associated with depression, low self-esteem, guilt and inadequacy; it can also be considered a sometimes wise response to certain demands that could present risky or negative outcomes or waiting for new information to arrive before making a decision. “Non-procrastinators focus on the task that needs to be done. They have a stronger personal identity and are less concerned about what psychologists call ‘social esteem’—how others like us—as opposed to self-esteemwhich is how we feel about ourselves,” explained Dr. Ferrari in an interview with the American Psychological Association. Avoidance: Avoiding the location, situation or person associated with the expected task. Denial: Pretending that the behavior is not actually procrastinating, but rather doing something else which is more important; or that the essential task is not that important. Distraction: Engaging in activities of the task—usually pleasurable—that provides instant gratification or success. This weakens will power and perseverance. Rationalization: Pointing in satisfaction to what one achieved in the meantime while one should have been doing something else. Trivializing: Using humor to validate one’s procrastination. 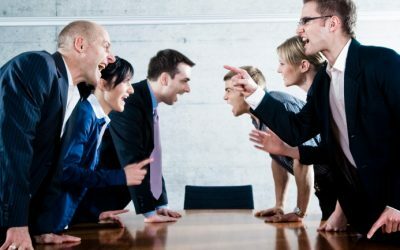 The person uses slapstick or slipshod methods to criticize and ridicule others’ striving towards the goal. 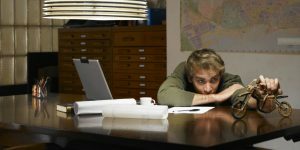 Research on the physiological roots of procrastination have been concerned with the role of the prefrontal cortex, the area of the brain that is responsible for executive brain functions such as impulse control, attention and planning. The prefrontal cortex also acts as a filter, decreasing distracting stimuli from other brain regions. Physical damage or low activity in this area of the brain can reduce one’s ability to screen out distractions. This is similar to the prefrontal lobe’s role in attention-deficit hyperactivity disorder, where it is commonly under activated. Some psychologists procrastination as a mechanism for coping with the anxiety associated with starting or completing any task or decision. Piers Steel indicated that the focus of studies on procrastination should be impulsiveness. That is, anxiety will cause people to delay only if they are impulsive. Dr. Roy Baumeister, a psychologist from Florida State University, has found that just like any muscles, human’s self-control is a limited resource that can quickly become exhausted. When self-control is close to being depleted, human tend to choose what’s more pleasurable, which can then reinforce procrastination. At its core, procrastination is an avoidance strategy Baumeister argues. Procrastinators choose to do something else instead of doing what they need to do because it’s much easier to choose pleasure over pain. Many procrastinators argue they procrastinate because they perform better under pressure, but research shows that is not the case. More often than not that’s their way of justifying putting things off. Procrastination can also fuel some self-deception. At some level, procrastinators are aware of the truth of their behavior. 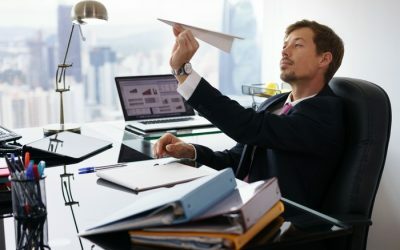 Procrastination has been associated with perfectionism: a tendency to negatively evaluate outcomes and one’s own performance, intense fear and avoidance of evaluation of one’s abilities by others, heightened social self-consciousness and anxiety, recurrent low mood, and “workaholism”. In a regression analysis study of Steel, from 2007, it is found that mild to moderate perfectionists typically procrastinate slightly less than others, with “the exception being perfectionists who were also seeking clinical counseling”. 75% of individuals with ADHD classified as “chronic procrastinators” according to researchconducted by Scott Taylor and colleagues. Scott found that when working on academic tasks, individuals with ADHD displayed high levels of procrastination. Most importantly, two symptoms associated with ADHD were key to this relationship. Second, Scott found that the self-motivation and self-management to time aspects of executive function (EF) were associated with increased levels of procrastination. Research has revealed that some people with certain types of challenges may also suffer from chronic procrastination. “We have found some links with chronic procrastination and ADHD, people who have passive-aggressive tendencies, seek revenge, have obsessive-compulsive disorder, and other areas,” said Joseph Ferrari, author of Still Procrastinating: The No Regret Guide to Getting It Done. Piers Steel recommends good time management is a strategy to overcoming procrastination, inclusive of increasing awareness of one’s bio-rhythms which can enhance or detract from productivity. 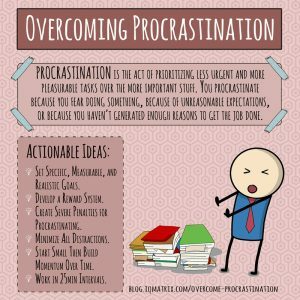 After contemplating his own procrastination habits, philosopher John Perry authored a book,The Art of Procrastination,wherein he proposes a “cheat” method as a safer approach for tackling procrastination. He proposes using an ordered scheme to reinforce the unpleasant tasks needed to be completed in a quasi-prioritized order. In other words, the procrastinator should postpone tasks with a mental note while engaged in a work that requires their current attentional focus. This suggestion then becomes a reminder to complete the task after the most important ones are done first. Take planned and frequent breaks. According to MIT Sloan Senior Lecturer Bob Pozen,author of the bestselling book Extreme Productivity: Boost Your Results, Reduce Your Hours, taking regular timeouts can help you refresh your focus and get more done. In a recent Fast Company article, Pozen says that the question to ask is not how many breaks you should take in a day, but “what is the appropriate time period of concentrated work you can do before taking break?” Pozen suggests taking a time-out every 75 to 90 minutes. He comes to this duration based on studies of professional musicians, who are most productive when they practice for this amount of time in a single sitting. In addition, research by Tony Schwartz, author of The Way We’re Working Isn’t Working, shows that humans naturally move from full focus and energy to physiological fatigue every 90 minutes. To help you could the Pomodoro Time Tracker. It is a great tool to help you take breaks at set intervals. Reward yourself. It’s important to acknowledge and reward yourself for achieving even the small tasks. It creates a sense of motivation and releases those feel-good, productive emotions that spur you on to achieve even more. Make your reward proportional to the task you completed. Keep track of how you use your time.By having a clear idea of where you spend your time, you can always review your productivity and know which areas to improve. You could use the app Rescue Time, to help. It gets you a categorized breakdown of how you spend your time and helps you to find out how much time you’re really on-task. You can even label activities as productive and non-productive so as to block your biggest distractions. Remove your obstacles and distractions. Prior to getting started on a task, take a moment to carefully consider the obstacles and distractions that might get in your way. Then, develop a plan to ensure that they don’t. For example, email or smart phone notifications or messages will distract you from your task and reduce productivity. Research shows that it takes between 12-24 minutes to regain your focus when you are distracted from the task at hand. Start with something small. Procrastinators find it hard to begin a task, often because they want it to be perfect or take too big a step. Focus on taking a small action, and think of it only as a “draft,” not a finished product. Be in a friendly environment. Working in the wrong environment can make you succumb to procrastination. This physically distancing yourself from distractions such as television, electronics, friends, and loud places. Stop trying to be and do perfect. As mentioned before perfectionism—wanting the conditions prior to doing the task to be perfect, or hoping the outcome will be perfect, are demotivators, and can actually prevent you for starting the task. First, adopting a measurement of doing the best you can under the circumstances rather than demanding 100% will help. Also, conditions will never be perfect to start something, and taking an attitude of trial and error will be much more productive. 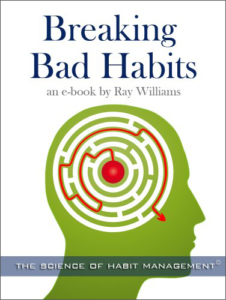 In the late 1990s, a group of neuroscientists at MIT discovered that habits are formed in the brain, a process that The Power of Habit author Charles Duhigg calls “the habit loop.” The following describes the elements of the habit loop. The first element of the habit loop is the cue or trigger. The cue is the thing that causes a habit to happen. For example, let’s say that you’re sitting at your desk, and you’re thinking about doing that “thing” that would help you grow your business. You might be thinking, “You know, I really should write that article … or call that prospect … or craft that sales pitch … or finish that training video. Then we come to the next element of the habit loop, called the routine. That’s the thing you do after the cue occurs. 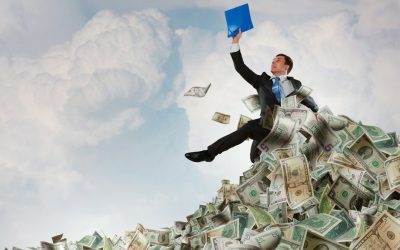 In this example, you are thinking about doing that activity that will help you make more money. So, what’s the very next thing you do after the cue occurs? The human brain is highly efficient. That’s the good news. However, it’s also the bad news. Why? Because your brain is so efficient, when it finds a way of doing things, it doesn’t want to change. Which means that when you start doing something (e.g., form a habit), your brain tends to want to keep doing it, even if you — the owner of said brain — want to do something different. Your brain also wants to commit everything to memory, so that you can automatically do something without using the energy to figure it out. 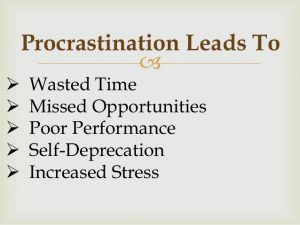 For example, you consciously know that procrastination is not a good habit, and that doing this habit is, in fact, costing you time and money. However, because your brain is so efficient, your brain is essentially saying, “Hey, I’ve got a good thing going here. Why change?” So, you have the cue(you think about doing that thing that will make you more money), and then you do … something else. Watching cat videos on YouTube, checking Instagram, turning on Netflix, going to the kitchen to grab a snack, checking Instagram again–the distractions— are endless! The third element of the habit loop is called the reward. After you do the routine, MIT neuroscientists found that the brain releases “happy hormones” including endorphins and dopamine which is the most important and powerful. When you are doing something you enjoy — something you are used to, also called a habit — your brain actually feels better. Over time, if you keep doing this habit, you’re going to tend to keep doing it (unconsciously and automatically) — even though you know consciously that this habit won’t get you where you want to go. Because your brain produces a reward (dopamine) for doing things that feel good, your brain doesn’t want to start doing things that might make it uncomfortable (and therefore might cause pain). The unfortunate bottom line: When you try to change your habits using the old method of “willpower,” you’re really trying to fight your own brain. Do you see now why that almost never works? By the way, this habit system applies equally to good habits not must the bad ones. Clear suggests two strategies that use visual cues are The Paper Clip Strategy, which is helpful for beating procrastination day-after-day, and The Seinfeld Strategy, which is great for maintaining consistency over longer periods of time. 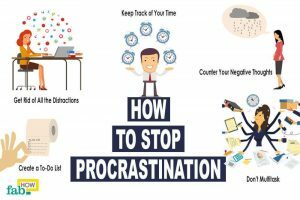 Procrastination can be a serious problem for people, causing negative consequences in their personal and work lives. And there is a clear connection to perfectionism, the addiction to technological distractions and anxiety. 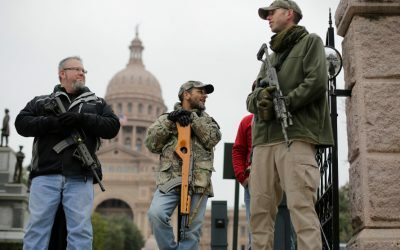 But practical strategies to address the problem are easily available and proven to be successful. 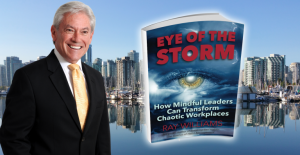 Read my latest book:Eye of the Storm: How Mindful Leaders Can Transform Chaotic Workplaces, available in paperback and Kindle onAmazonandBarnes & Noblein the U.S., Canada, Europe and Australia and Asia.